At Greater Good Realty, we care about what happens in our community and would like to keep you updated with special events! Here are some special events happening in San Diego for the Month of September. Come sail away at the largest Tall Ship festival on the west coast! The Festival of Sail transforms the North Embarcadero into a nautical theme park, complete with tall ships, cannon battles, a parade, a street faire, family fun, food, beer gardens, and a kids’ zone. Book a cruise or sail in advance online. 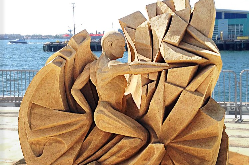 See SANDiegoTM like you never have before: sculpted in 300 tons of beach sand! World Master Sculptors come all over to challenge the best sculptors in the U.S. There will also be live entertainment, a sand box and rides for children, gourmet food trucks, tall ships and cannon battles, and over 1,000 works of art for sale. Try signature tacos from more than 40 of the best restaurants and food trucks from San Diego, TJ, and LA as they compete for your vote for “Best Taco.” While you eat your weight in tacos, you can also enjoy the excitement of the races, followed by live music from Steve Aoki. 18+ only. Get your jam on to Mavis Staples, California Honeydrops, Joe Louis Walker, Rick Estrin & the Nightcats, Chris James with Patrick Rynn & Aki Kumar, and more. There will also be local craft beer, food vendors, specialty cocktails, and wine, along with arts and crafts vendors. The Food Bank asks all attendees to bring two cans of food to donate. All proceeds and food drive donations will benefit the Food Bank. Gather on the streets of Poway for the annual parade at 9 am! From pageantry to marching bands to performers to local community groups, the parade is a thrilling sight. At 10:30 am, come to the Community Day Festival for the crafts and food vendors, family fun zone, battle of the bands, and more! This is a free event. Have a “beer, wine, dine, and let the bluegrass shine” at the Santee Bluegrass Festival. In addition to live bluegrass music, there will be a food sampling, beer and wine tasting, silent auction, and an opportunity drawing. Funds raised from this event will benefit local programs. This is a 21+ event. Go on a handcrafted journey with 55 of the finest artisans and crafters of clothing, linens, jewelry, home decor, succulents, soaps, woodworking, beading and so much more. This is craftsmanship at its very best! There will also be live music, demos, artisan foods, and giveaways. Make your plans to see some of the world’s fastest boats on Mission Bay. Bayfair features three days of nonstop boat racing, food, and fun on the shores of beautiful Mission Bay. Motorsports fans can get an up-close view of the racing action along of the shores of East Vacation Island, Fiesta Island or Crown Point. Join more than 7,500 volunteers from all around the San Diego area and do your part to clean up our local beaches, rivers, creeks, and parks. You can take part in beautification projects like invasive plant removal, trail building, painting, and planting. Refer to website for a full list of volunteer sites. This is a free event. Support a fundraiser to fight cancer while having a blast with your friends! This indoor/outdoor event will feature live music and many different breweries serving up to 120 varieties of tasty brews. Food and wine will also be available for purchase. All proceeds will benefit local cancer charities such as Rady Children’s Hospital. 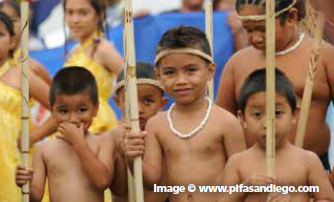 Celebrate the cultures and heritages of the indigenous nations of Melanesia, Micronesia and Polynesia. This family-friendly event features traditional arts and crafts, music, dancing, and other live performances. This is a free event. Eat, laugh, and share at this September’s Restaurant Week. With more than 180 participating restaurants to choose from in San Diego County, diners can be assured that appetites will be appeased and cravings will be satisfied with prix-fixe two course lunches and three course dinners. Reservations are recommended. Join your friends and neighbors for the AIDS Walk/Run! We gather to remember the many who have been lost to AIDS, and to raise vital funds to support all of the San Diegans living today with HIV. Join us for San Diego’s largest fundraising event for HIV and be part of this incredible community experience! Stroll along the inimitable Adams Avenue surrounded by music from 90 bands on seven stages and 350 arts, crafts, retail, and food vendors. There will also be beer gardens and giant carnival rides. The Craft Beer Taste will be held on Saturday from Noon to 4 pm and will feature 30 different beers from 16 breweries. Location: Adams Ave. between 32nd St. & 35th St.